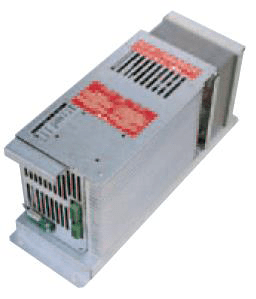 ASBR - I series is a single branch rectifier AMPERIS supplies continuous DC load. 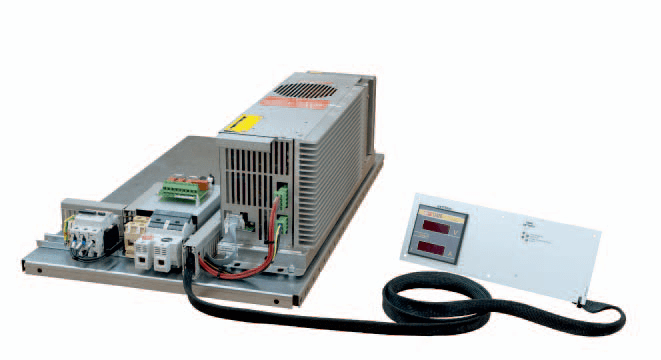 ASBR - I rectifiers are composed with an open frame solution rectifier totally independent installed inside in a cabinet. chopper with power transformer, natural cooling. Transportation is facilitated thanks the width enough for get in Lifter manual trucks. An human machine interface (HMI) ensure the access to all the important parameters; the main panel accessible from the front side. A large display 3 digits and ½ for battery voltage and current gives the perfect overview of the charge quality. The display is powered by output batteries, thanks an embed¬ded DC/DC converter, to ensure measurements also without AC supply. LEDs indicate the operation of the system.